Technical glitches faced by the NIOS and private candidates in filling NEET 2018 application form have been fixed. Candidates can apply before the last date. 05 March 2018: A great relief has come for the NEET aspirants from NIOS in an order passed by the Delhi High Court. As per the order of the court, students from open schools and private candidates can apply for NEET (UG) 2018. 4. Candidates who have passed Biology as an additional subject. All candidates belonging to above-mentioned categories can apply for NEET 2018 before the last date. After this notice, NIOS students were facing some technical glitches while applying for NEET. They were asked to fill details related to class XI. Due to this students faced problem in completing the form as they directly appear for class XII exams through NIOS without doing class XI. The students reported this problem to NIO authorities who in turn reported the same to CBSE (NEET conducting authority). 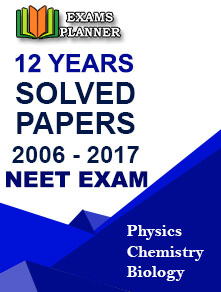 In response CBSE has provided the solution. The last date for NEET 2018 application form submission is 09 March 2018 (Friday) till 11:50 PM. Students are advised to apply as soon as possible.